There are various natural products, which can be used to increase the beauty of women. There are large numbers of companies, which prepare the beauty and cosmetic products across the world and these products are prepared with the natural elements present in the nature. The results of these beauty products are wonderful and with the use of these natural beauty products, they can have the natural beauty products, which can last for long time and they can have the sustainable and durable results. Salt is a product, which is found in the nature and it can be used as beauty product or as the base product for the preparation of the beauty products. About all of the beauty product companies all over the world, use salt in right and suitable amount, as required to prepare the beauty products to enhance the beauty of the women and girls. The use of the salt products for the beauty purposes will depend on the issue, which you are confronting now. You will find hundreds of beauty products, which are prepared with different ingredients and these are the good collection of different elements to use as beauty product. Most of the people do not know how to use salt as the beauty product but the women will be relaxed and contented to determine the beauty issue and they should know as how much quantity of the salt is sufficient in the beauty products and how it can be used to meet with different problems of the beauty. Salt, which is commonly known as sodium chloride, can dehydrate the hair. You can check your hair after coming from the picnic at the beach, that your hair can become dry and frail. You can feel some of the drying effects in your hair. But the beauty product manufacturing companies use sodium chloride in preparation of the hair products. Salt is added in the liquid to create thickness and it is used in the quantities & it does not create any problems in the health of hair. The women, who are taking the keratin straightening treatment, they should ensure that they should not use any product containing salt, as keratin will break the hair and it will resulted into break of hair and your silky and sleek hair will be damaged. The companies also prepare the beauty products free of salt, which are perfect for the hair keratin treatment. Salt is used in the beauty products as natural remedy and it can be useful for the oily scalp and dandruff. The people need to take sufficient amount of shampoo, small amount of salt and massage it on the scalp. Rinse the fresh water through the hair, then use the regular shampoo and conditioner in the hair. The women should wash their hair with this shampoo and products once in a week and allow the salt to absorb oil and unclog follicles, which is the major cause of dandruff. There are some other kinds of salt products and minerals including Dead Sea salt for taking care of the skin. This salt is added in the products to absorb moisture from the skin and it is natural exfoliate. The women should mix the coarsely ground salt along with the skin nourishing oil with the purpose to peel off the dead skin and oil will work as retention of the moisture in the hair. Dead sea salts are added in the products and these are also added with other nutrients to retain the natural moisture in the skin and add minerals, which are necessary for the metabolism in the hair. 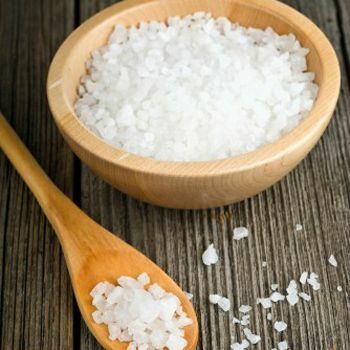 There are some other ailments including psoriasis, eczema and acne, which can be treated with the use of sea salt in the right amount, as the minerals present in it are anti-inflammatory. These products dry the skin and the dead skin is removed without creating any irritation.